***SOLD OUT*** This is a unique opportunity. We have (40) LOADED (assembled with Coils and Valves) Xpress plow PA Blocks direct from Meyer still sealed in individual bags available. 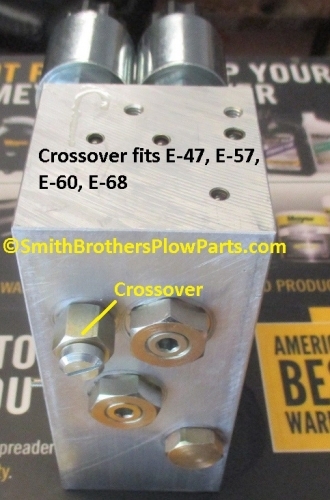 We just got these E-68 / 88 PA Blocks in from Meyer Products. They were purchased as part#15920, which is a bare block, and normally not for retail sale. As you can see these have all the Coils and Valves in them. They are only missing Couplers. Meyer offers them for sale with Couplers as part#15941, which has a 2016-17 List Price of $939.77. 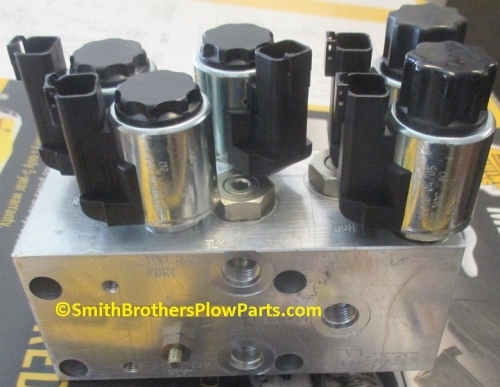 These PA Blocks ONLY fit the E-68 or E-88 Hydraulic unit used with the Meyer Xpress plow. They are each in a sealed bag, which (as you can see in the last picture) is how we received them from Meyer Products. 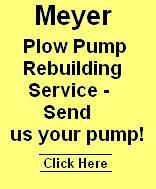 Because they are a Genuine Meyer part they come with a 1 Year Warranty. Just to clarify, these will NOT FIT any versions of the E-47, E-57, E-58H, E-60, or E-61H. They fit the Xpress plow E-68 or E-88 ONLY. 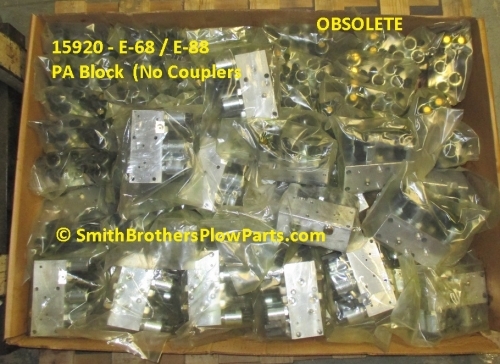 Because the Xpress plow was discontinued by Meyer Products in 2010, these are considered OBSOLETE PARTS so therefore we will not accept returns. The (5) 15916C Coils on this unit sell for $42.59 EACH, for a total of $212.95. 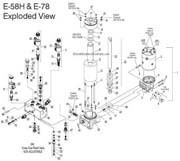 The Coils will also fit the E-58H and E-68. 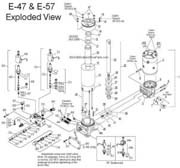 The 15974c Crossover Relief Valve in this PA Block has a List Price of $149.99 and it will fit the E-58H, E-47, E-57, and E-60!! The A Valve in this 15917C also fits the E-58H, and has a List Price of $63.49. You get it all for A LOT less. Part one of these out for a great profit. Please view ALL of the detailed photos and read the description carefully before purchasing. Thank you! 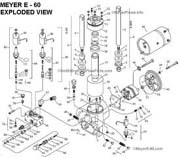 You get ALL the Coils and Valves, bolt this on, install your Couplers (we recommend new ones) and you are all set. When these 40 are gone, that is it.